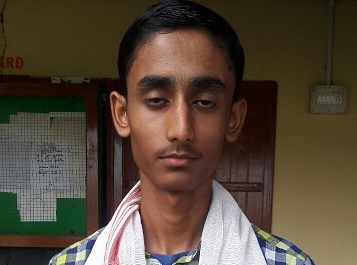 Although, not a single student of Dhubri district in Assam has managed to found a place among the top 10 rank holders of the state High School Leaving Certificate (HSLC) Examination this year, result of which was declared on Friday, the district managed to shine in the High Madrassa Examination. 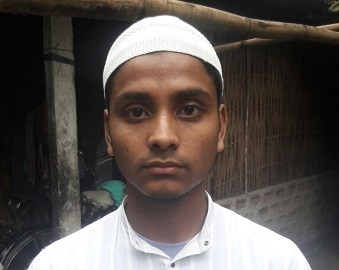 Two students of the district namely Md Mizanur Rahman of Kamandanga High Madrassa School and Nazmul Huda of Chapor Madrassa HS School have managed to notch top two ranks respectively in the Assam High Madrassa (AHM) Examination, 2018. Only three positions of AHM were declared of which two are from Dhubri district while the third position is secured by Sabiha Sabnam of Pachim Mangoldoi High Madrassa of Darrang district. Md Mizanur Rahman, topper of AHM, scoring a total of 556 marks aspires to become an engineer while the second topper Nazmul Huda, who scored 555 marks expressed his desire to join the medical field and wants to become a doctor. The father of AHM’s topper is serving as a clerk in the Hatidura Junior College of Dhubri district while the father of the second position holder belongs to a very poor family and Nazmul Huda has to support his father in tailoring job in his free time. Notably, Kamandanga High Madrassa is located in a very interior area of Dhubri district bordering West Bengal and Kokrajhar district of Assam. Despite that the school has been showing good results every year as the students of this school had secured first and second positions in 2004 and again first rank in 2015. Every year, majority of the students pass with first division, as informed by the principal of the school, Abdul Kuddus Rahman. In Dhubri district, a total of 16349 students appeared in the AHM examination, out of which only 7397 students had passed. In the district only 45.24 per cent of students passed the examination which is much below the state average of 56.04 per cent. Moreover, only 2113 students of the district passed in first division. While, 3260 students passed in second division; another 2024 students passed in third division.